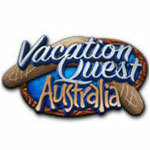 Vacation Quest: Australia Game - Download and Play Free Version! 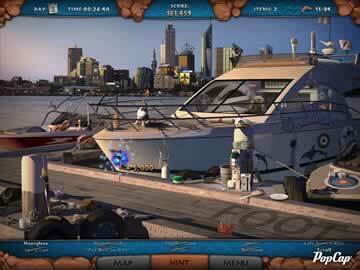 Vacation Quest: Australia takes you on a journey across the outback on a quest for hidden objects. As you tour new sights, you can also search for hidden boomerangs to unlock exciting adventures and extend your vacation. 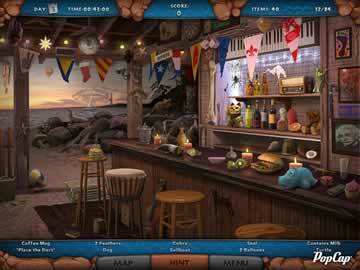 With over 2,200 objects to discover in 28 exotic locations, Vacation Quest: Australia is a charming game that is fun for the entire family. You are given 25 minutes to find all of the items listed. You will lose points if you click on an incorrect item that is not included in the list. When you successfully find all of the required items, you are able to choose a new location on the map. If you are stuck and cannot find an item, you can click on the hint button. This will guide you to a particular area where you can find one or more of the listed items. Your vacation starts out with 21 days and can be extended based on the number of boomerangs you are able to find. Each location contains three cleverly hidden boomerangs. You can extend your vacation by up to seven days and unlock additional bonus locations by finding these boomerangs. Once you find 50 of the hidden boomerangs, you are able to unlock two bonus game modes. After each day of your vacation has been completed and you have found the hidden items required for each location, you can read a summary of the events in your travel journal. This provides you with details regarding your score, any time bonuses received, total level score, level time, number of boomerangs found and your total game score. Your travel journal also helps you learn about Australia by listing fun facts and definitions of Australian slang. You are awarded a specific number of points by completing various actions in the game. For example, you will receive 5,000 points for each hidden object you find. A bonus of 2,500 can be received if you find back-to-back matches. Vacation Quest: Australia also gives you an incentive to carefully search for all listed items on your own. You will be awarded with 25,000 points if you are able to find all of the required items without using any hints. For each hidden boomerang you find, you will receive 10,000 points. Find all of the boomerangs in the game and you will be rewarded with a whopping 100,000 points. You can also lose points by completing specific actions in the game. Every time you use a hint, you will lose 7,500 points. This encourages you to concentrate on the location and challenge yourself to find all of the hidden items without receiving any help. But don't simply click on random items in each location - you will lose 2,500 points for each incorrect click of your mouse!